Whether you are a cancer patient, survivor, newly diagnosed, in treatment, gathering strength or thriving, yoga can further your recovery and help you feel whole again. You may even find new confidence you have never known. 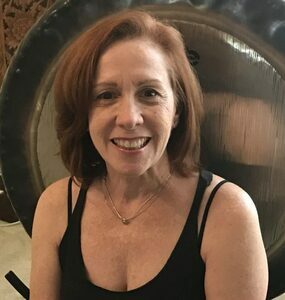 Ileana is a cancer survivor and Yoga4Cancer (y4c) instructor, she has received advanced training and is sensitive to your concerns as a post-operative patient or someone currently undergoing chemotherapy and/or radiation treatments. Classes are excellent for all levels, including beginners. Yoga classes are mat-based but we can modify them if you prefer to sit in a chair. Please reserve a spot in advance, as class space is limited. MEDICAL DISCLAIMER: Our programs are educational purposes and are not to be mistaken for long-term therapy or cure. Some people may find some programs to be too psychologically or physically challenging. We recommend that you consult a physician or trusted counselor if you have any doubt.